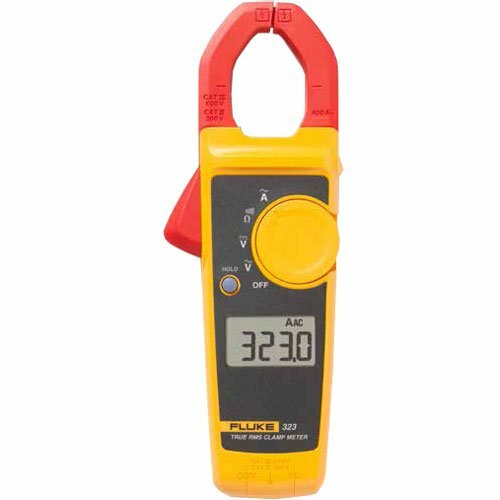 The Fluke 323 400A AC, 600V AC/DC True-RMS Clamp Meter with Temperature, & Capacitance Measurements are designed to perform in the toughest environments and provide noise-free, reliable results users can trust to confidently diagnose problems. True-rms measurements and optimized ergonomics make the Fluke 324 Series Clamp Meters the best general troubleshooting tools for commercial and residential electricians. Much like the other Fluke 320 Series Clamp meters, the Fluke 323 Clamp Meters measure AC and DC voltage, AC Current, resistance, and continuity.